A snippet of a large arm piece. Its pretty fresh so its got some glare.Ill post updates when its fully healed. 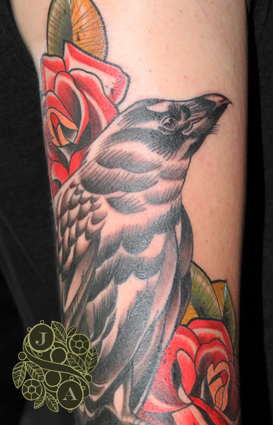 Really getting into bird tattoos lately!